Wedding Flowers where do you start? Which colours to pick, styles, size etc very tricky job for a couple to pick. As some of you may know I have recently got married and I am a huge fan of real flowers and I feel that flowers make such a difference in wedding photography and to the atmosphere of the day. I decided to get married on the Isles of Scillys and it was proving hard to find a florist, so I thought I would give it a go myself. I have seen many different ideas over the years of being a wedding photographer and knew what I wanted so I went to local florist shops to find a stock of flowers to take with me. So I ended up with some base flowers white roses and also some green bits to pack out button holes. The white roses traveled ok but some of the petals were damaged due to picking roses that were half closed it allowed me to pull the damaged petals off before going into the design.Then I went hunting on the Island and found a stock of the most amazing pinks which is a well know island flower, all different types and colours and built myself a hand tie and button holes for my wedding day. 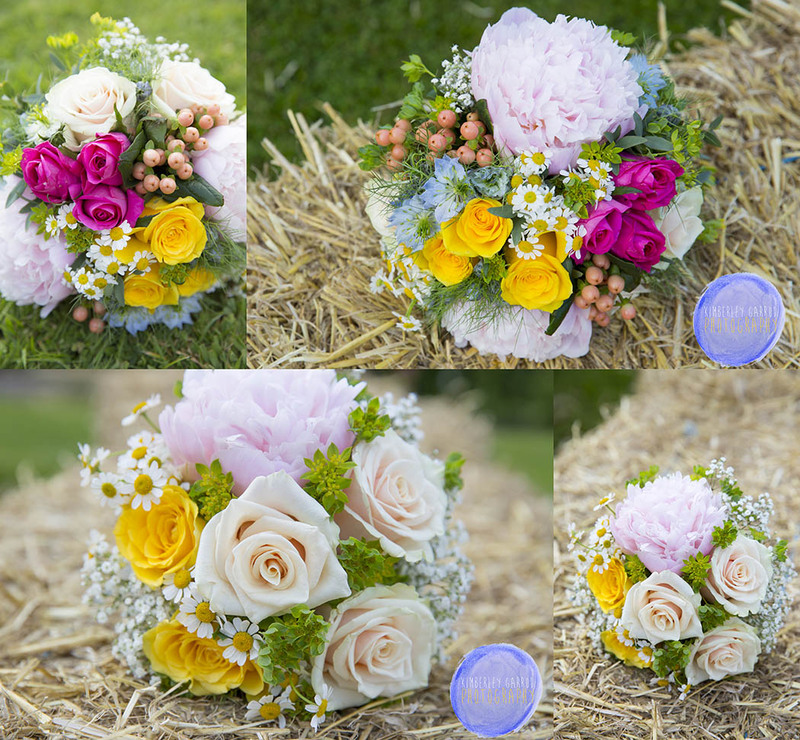 Sometimes keeping it simple can be best if you are creating your own wedding flowers. 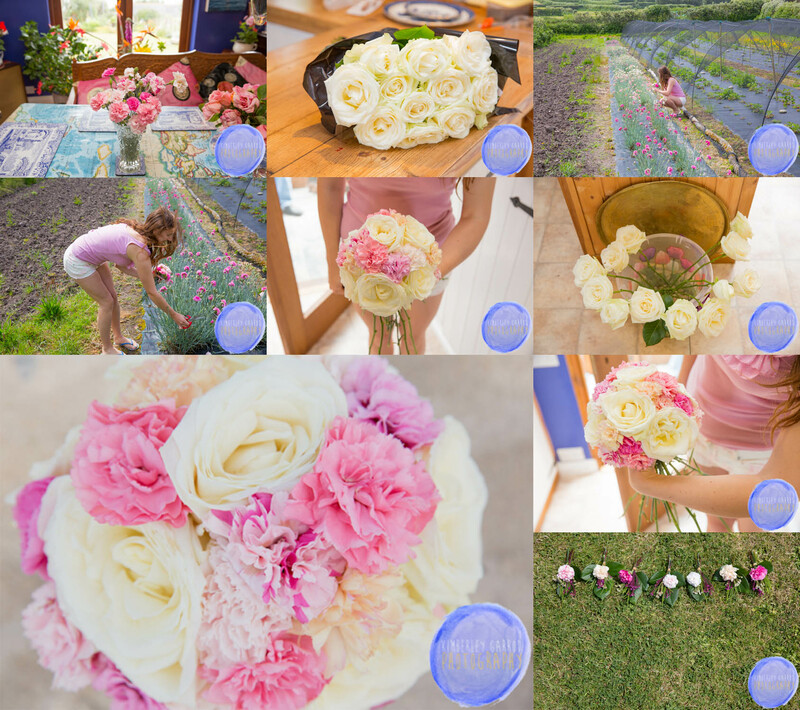 Pictures below for you to see what I got up to with creating my own wedding flowers. So due to the fact I got married on Isles of Scillys I could not take everyone with me so there was a big party planned the following weekend which I needed even more flowers for. So this time I commissioned the most amazing team from Luv Flowers in Botley. 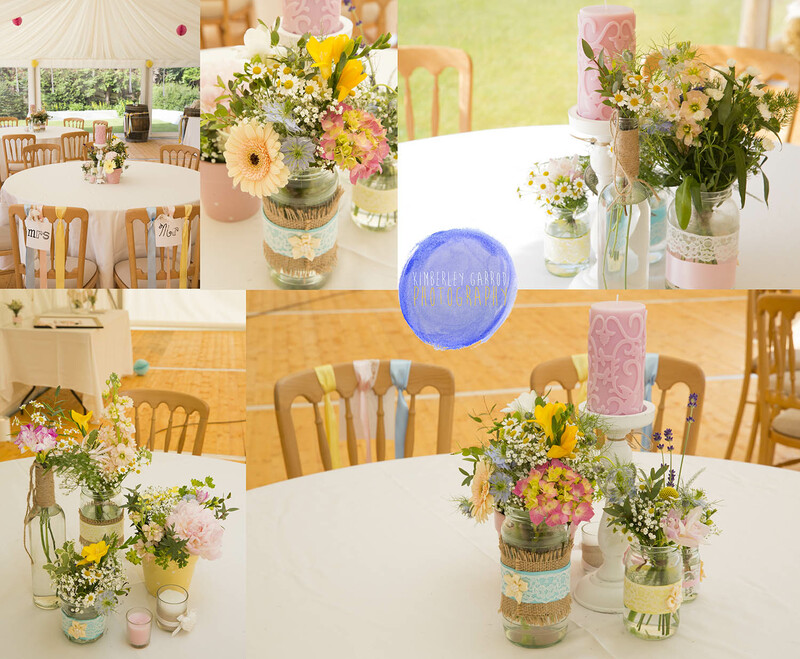 I have worked with them on many projects and happy to say I picked them for my wedding florist. I was very pleased to see there little van turn up full of the most amazing flowers for me. It is worth collecting images and ideas from magazine and the internet and going to florists with loose ideas as they can give you support and guide you, sometimes it is worth letting florists do there thing you will end up with the most amazing results.The theme I gave to my florists was garden party vintage style. I highly recommend this team of florists you will not be disappointed. Below are a few pictures of what they did for me.